This Friday, June 8, marks the annual Central Auto Racing Boosters (CARB) Night at the Lakeside Speedway in which current CARB members receive free grandstand admission to enjoy a great night of racing, plus a lot of activities and stuff for the young race fans. Don't forget, all times are one half-hour later this week due to the forecasted high temperatures (see times and prices below). CARB’s goal is to promote interest in and understanding of the sport of circle track auto racing among the general public and to induce cooperation between fans, the general public, and to encourage better sportsmanship at the race tracks. CARB Night race divisions include USRA Modifieds, USRA Stock Cars and USRA B-Mods, plus Grand Nationals, E-Mods and Four-Cylinders as guest class. If 20 or more Four-Cylinders start the feature, their purse is going to be doubled. Pit gates open at 5 p.m., spectator gates open at 5:30, the drivers meeting is at 7, hot laps begin at 7:15 and racing starts at 8 p.m. Adult general admission is $12, seniors (65+) and Military are $10. Kids ages 12 and under get in for free. Suite seating is $20 with kids ages 2-12 just $10. For pit passes, adults are $30 and kids ages 6 and under are $10. There are also Family Packs available for $30 which include two (2) adult general admission tickets and two (2) kids tickets. Kids also get a coupon for two (2) hot dogs and two (2) Kool-Aid jammers. Kids, don’t forget, if you're 12 years old or younger you get in for free. Come meet CARB's Kids’ Mascot "Sparky the Spark Plug" this Friday night. Current championship points leaders heading into Friday’s action include Nic Bidinger (USRA Modifieds), Kevin Anderson (USRA Stock Cars), Tim Powell (USRA B-Mods), Shawn Burns (E-Mods), Don Marrs (Grand Nationals) and Marshall Jewett (Factory Stocks). Factory Stocks have this Friday night off. The Lakeside Speedway is a 4/10-mile semi-banked dirt oval 1.0 mile west of I-435 (exit 18) on SR 5 (northwest of Kansas City). The physical location is 5615 Wolcott Dr., Kansas City, KS 66109. Find the track online at www.lakesidespeedway.net for schedule info, car rules, regulations and news. Contact the track at (913) 299-9206. Like and follow on Facebook at www.facebook.com/lakesidespeedway.kansascity. You may also email the track at lakesidespeedwaykc@gmail.com. 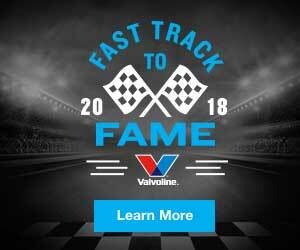 The 2018 sponsor list includes Valvoline, Baker's Recovery & Tow, Budweiser, Casey’s General Stores, Central Auto Racing Boosters Hall of Fame & Museum, Central Auto Racing Boosters (CARB), Christy's Tasty Queen, Courtyard Kansas City Airport, Crystal Trenching, Health & Wellmobile, Johnson County Key Service, Joslin Jewelry, Kaw Valley Companies, LNF Fencing, Kling Auto & Diesel Repair, Metro Pawn, Mission Painting & Home Improvements, National Sprint Car Hall of Fame & Museum, RockAuto.com, Seeburg Mufflers, Sutera’s Shawnee, Tompkins Industries, Toners Jewelers, Ussery Auto Body, Design Source Flooring & Tile, Kenny’s Tile, Justin Lawson Media and Victory Trophies & Plaques.